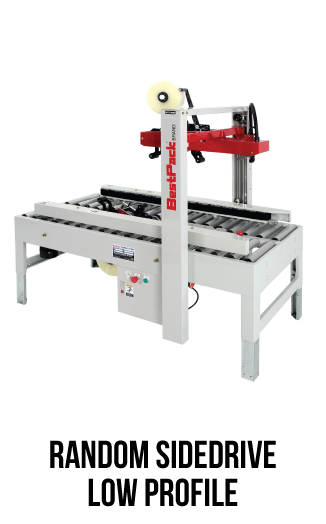 • Randomly adjust height and width of machine for each box size. 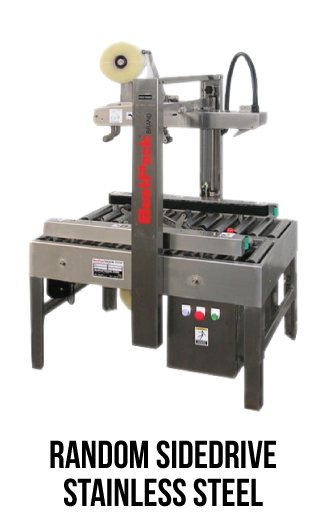 • Operator feeds and fold flaps of boxes into machine. 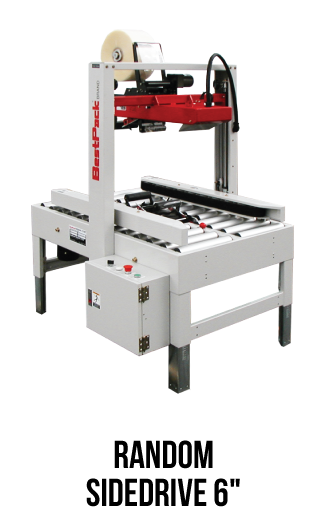 • Perfect for applications where the carton size changes for a given sealing shift.